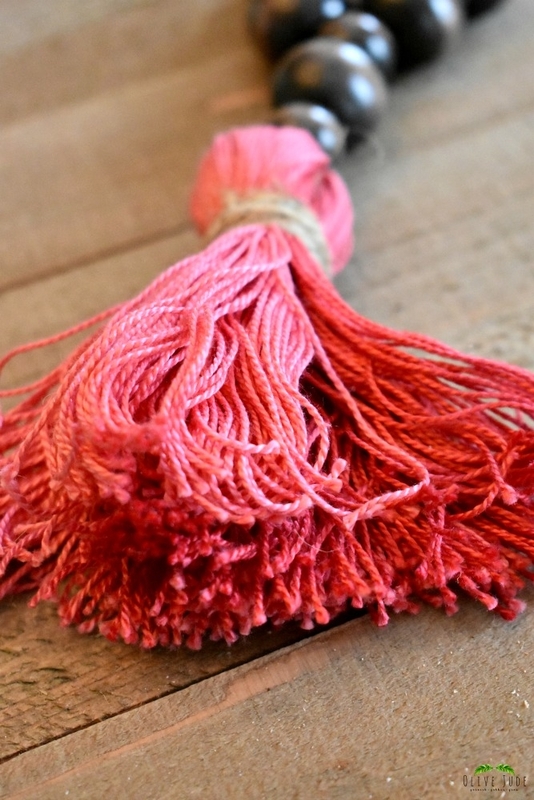 I’ve been feeding my obsession with tassels lately. 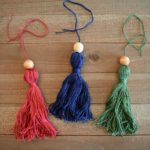 Ever since I made these 5 minute tassels a few weeks ago, it looks as though my tassel fascination is just getting started. 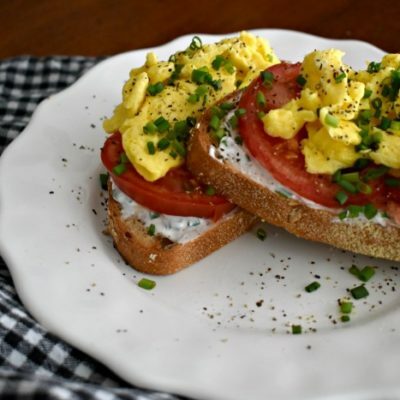 It’s just too good, too easy, and too quick of a DIY to ignore, not to mention it is so affordable. See the 5 minute tutorial here. This time, I’m giving my tassels a little weight and dimension. 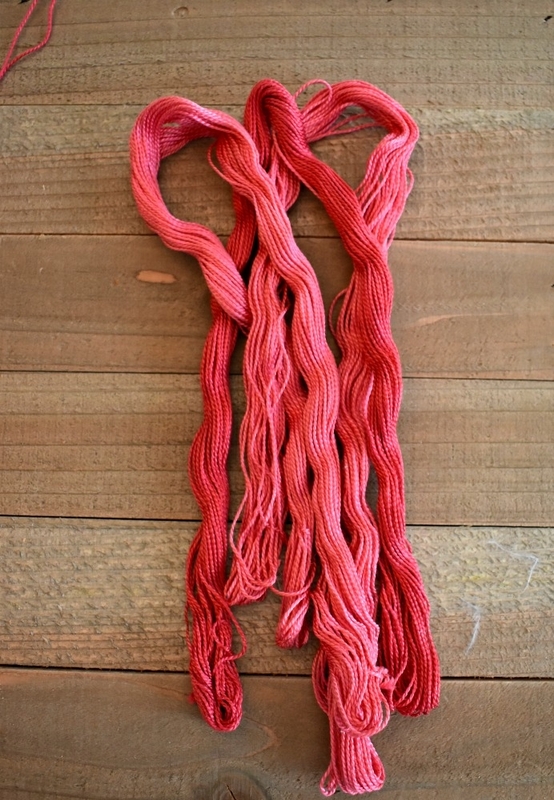 With 3 skeins of embroidery floss in 3 color tones, I’m creating beautiful ombre tassels fit for any type of decor style. 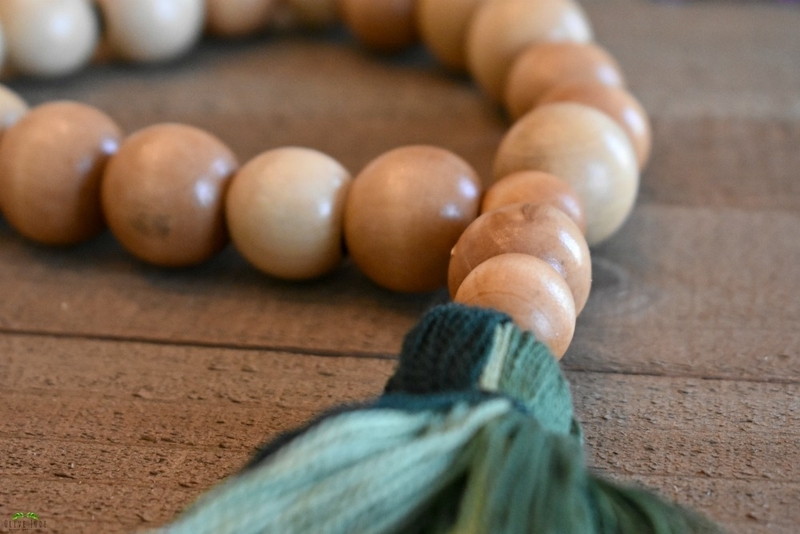 And for some texture and interest, I’m adding wood beads to the loop. By adding a little tape to the end, I can easily thread the beads onto the embroidery floss and then tie the ends together. 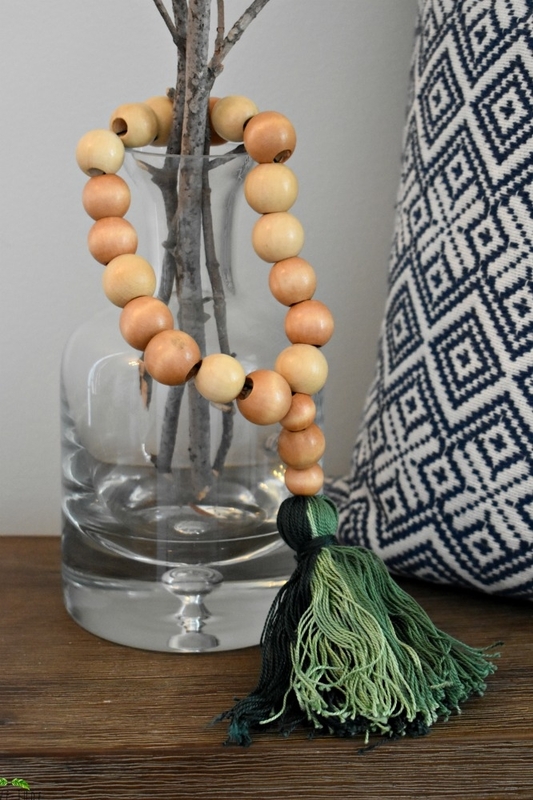 The clean look of the wood bead against the soft colorful tassel work so well together. 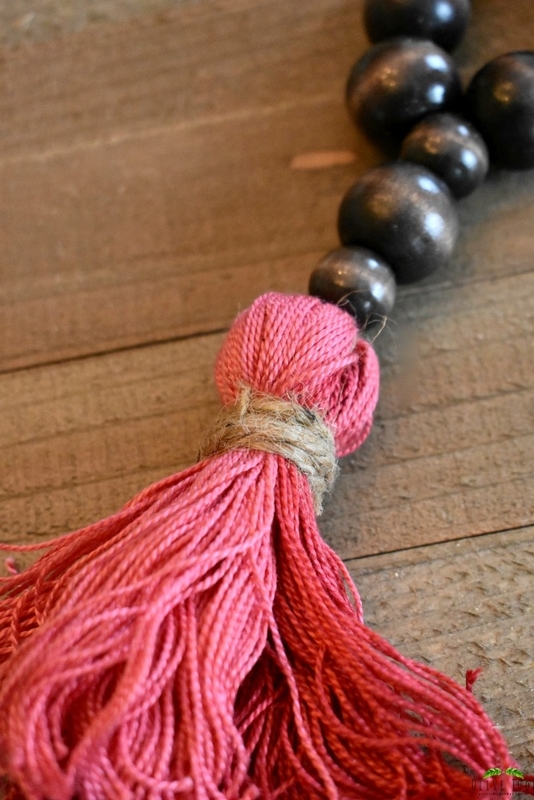 It’s the perfect accent to a glass bottle or a decorative pillow. And the ombre effect is so fun! 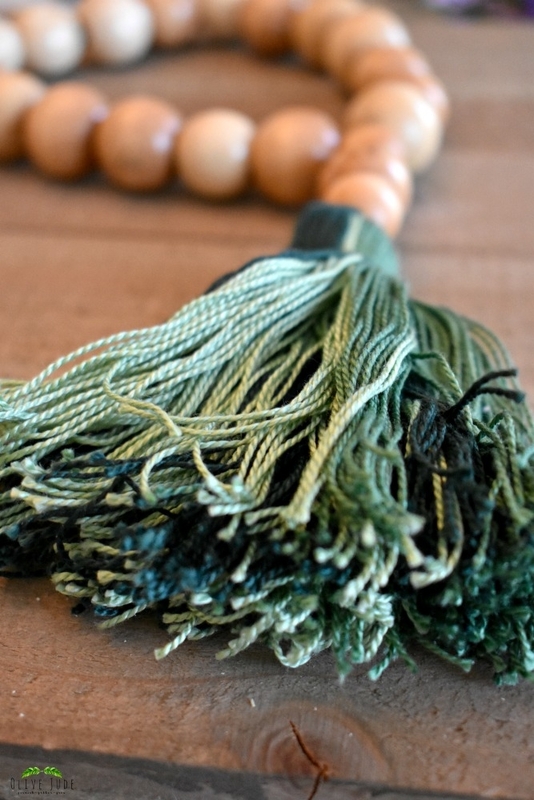 I even added some rustic twine and dark stained beads to this tassel, giving it more texture and beauty. They are like jewelry for your home! Drape them on your vases or your mantle. Hang them on a doorknob. They are the perfect finishing touch in an otherwise simple space. 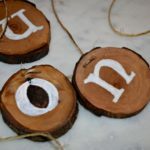 Wouldn’t these be perfect hostess gifts!? Toss one on a wine bottle in your hosts favorite color to give it some personality. I have another use for this idea. With a little alteration, these would be great toys for my African grey parrot. I know this wasn’t your intent, but it sparked my imagination. That’s so interesting! 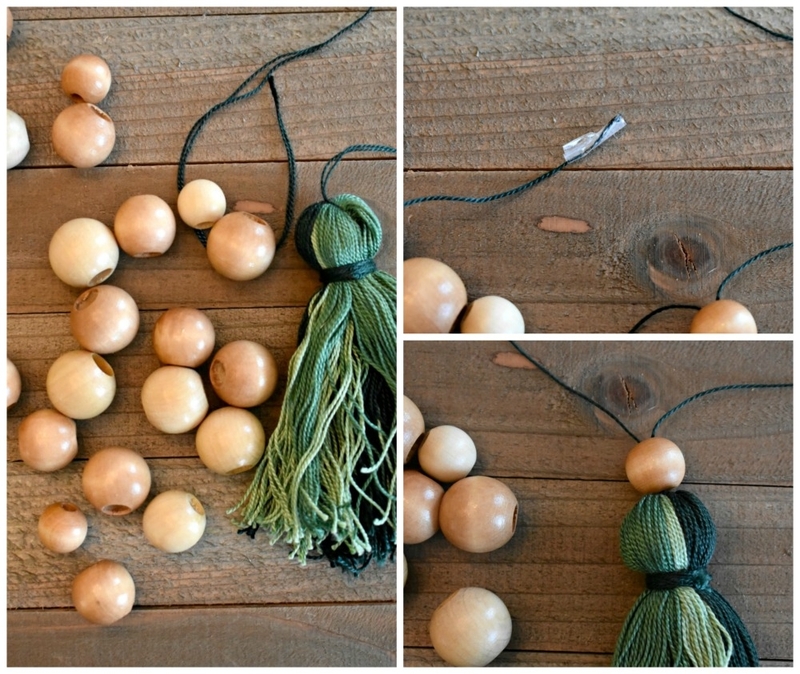 I’m thrilled you can give this DIY your own twist! 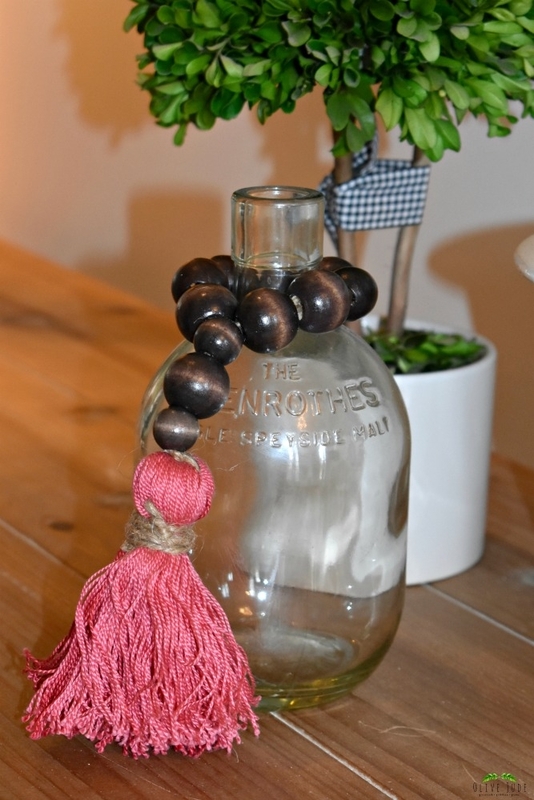 Love this idea ,tassels have so many uses, so easy to make but can be expensive to buy. 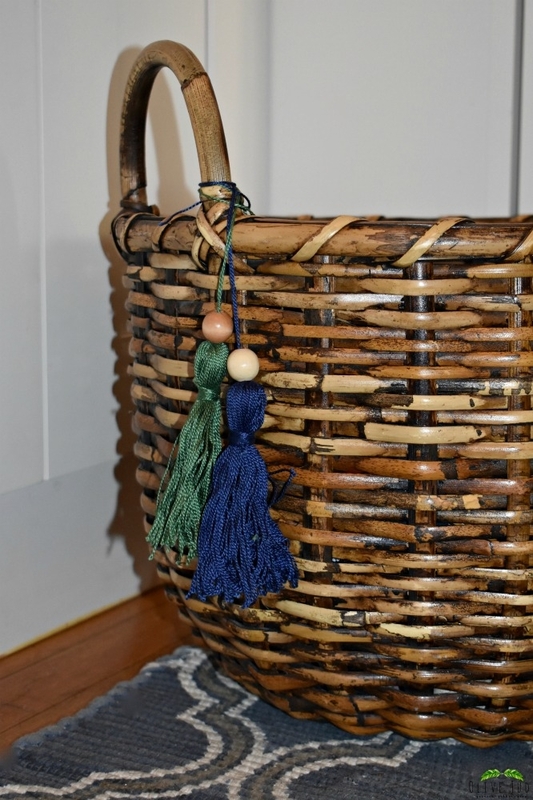 I like to put them on keys to cupboards etc (small keys are so easily lost), also on small handles or knobs to drawers ,boxes etc that are not easy to grip. Thanks for sharing. Thanks, Catherine! 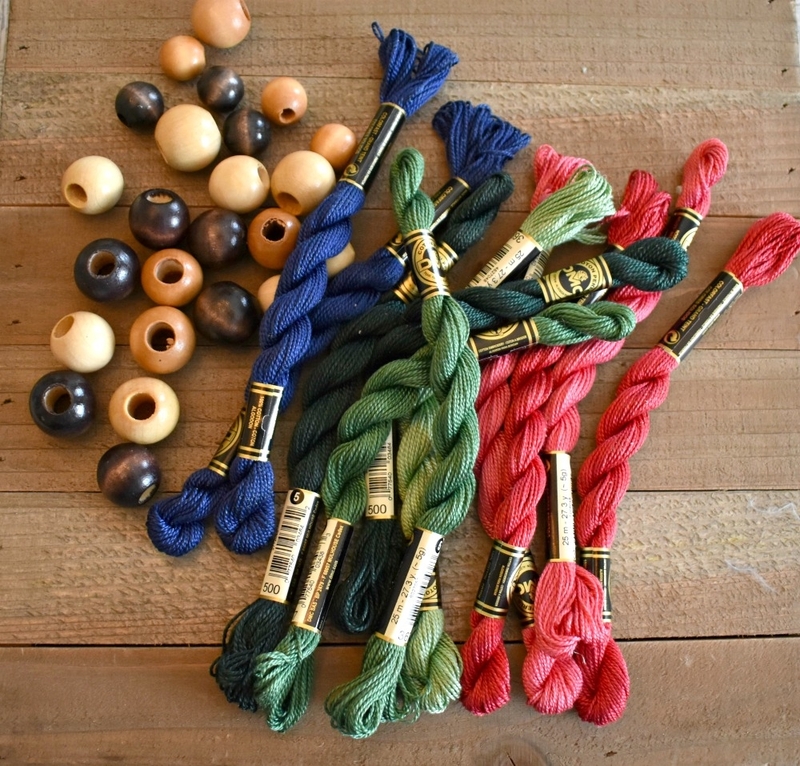 I’m so happy you stopped by and shared how you use tassels. 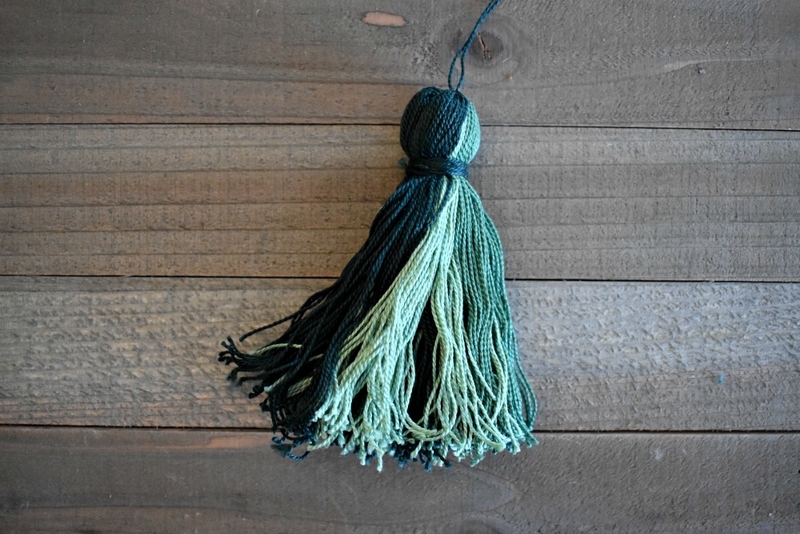 I love how simple, yet stylish these tassels turn out! You could sell them in a specialty shop! Wow! Now there’s an idea! Thank you! Oh man my kids would have these torn up in a minute but so cute! What an easy tutorial! Thanks for sharing and I can think of so many things around the house to put them on! 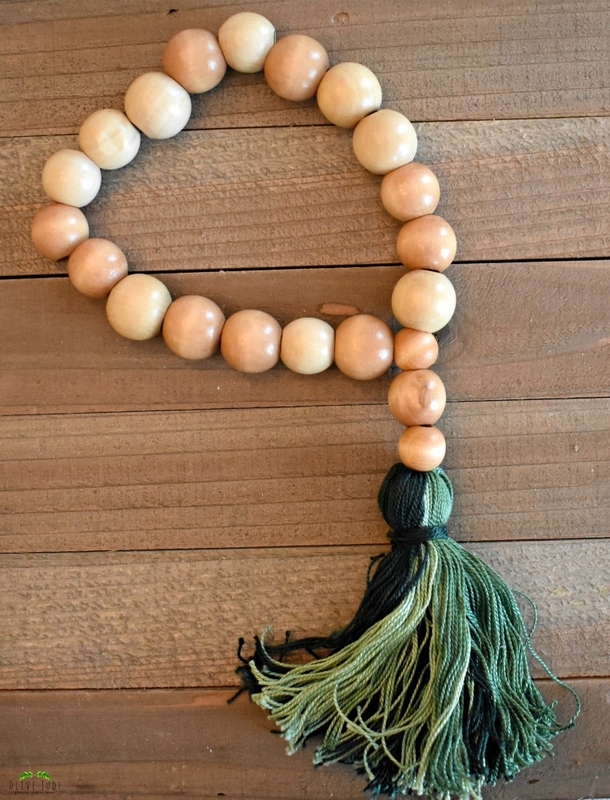 I forgot all about wood beads, and I love them in this tassel! 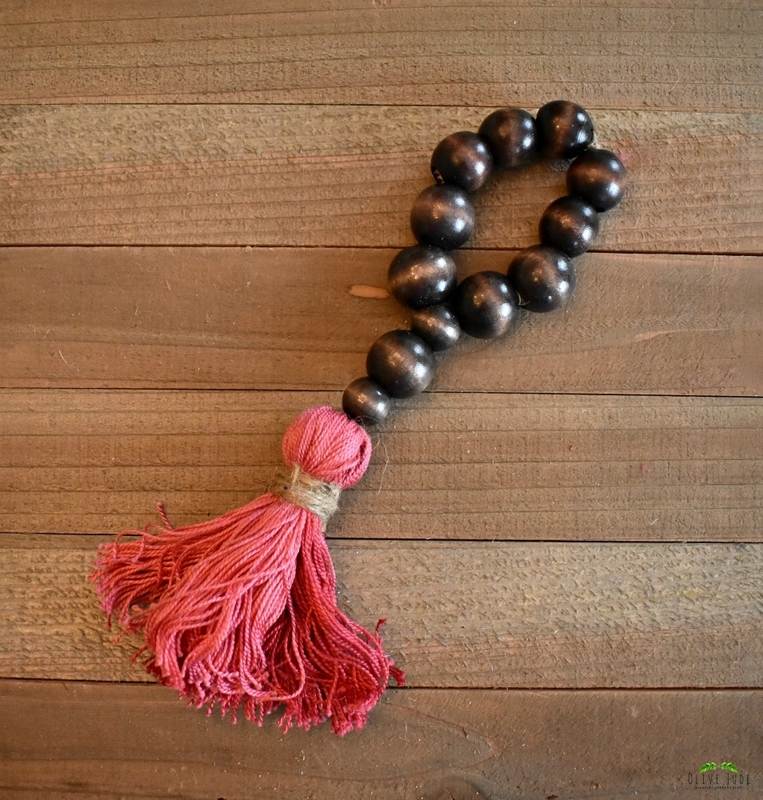 Such a fun accessory. These are adorable! 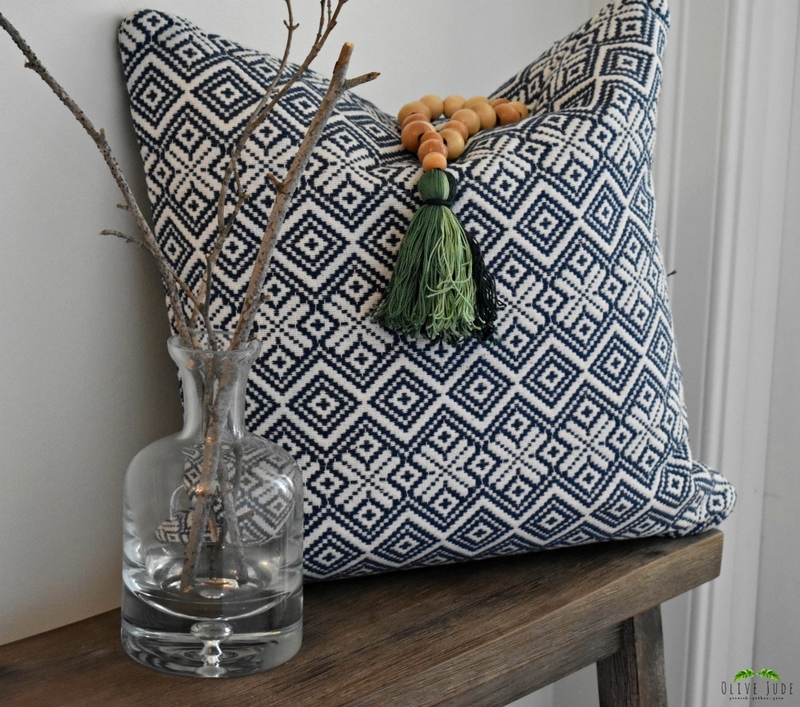 I love the tassel on the throw pillow, so pretty! Thanks! That pillow isn’t “in use”, so it works there. I love this! 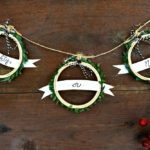 Such a fun way to “dress up” your house! Such a cute way to spice up your baskets and pillows! These are so pretty! I’m not a particularly creative person but these are a great accent for the home, I might give them a try! Go for it! They are surprisingly easy! 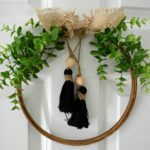 What a wonderful diy project! Will have to try it out!